Stop Earl Campbell and you will stop Texas. . . That was the challenge facing the Fighting Irish of Notre Dame as they went into the Cotton Bowl last New Year’s Day. The man responsible for preparing the Irish defense to stop Camplbell was Joe Yonto, defensive coordinator. How well he did his job and how well the defense executed his instructions was shown as Notre Dame did beat Texas and was named the Top College Team in the nation. Joe Yonto played basketball and football at Orrville High School. The 1940 team on which he played was undefeated. In 1942 he was the captain of bot the basketball and football teams. Yonto played football for Notre Dame in 1945 and 1946 as fullback and then guard. A leg injury kept him from playing in 1947, his senior year, but he stayed on as an assistant freshman coach and thus started his coaching career. Coaching jobs in Michigan City, Ind., Port Huron, Mich., and Chicago led up to his stay at Notre Dame High School in Miles, Ill., where he put together three straight Chicago Suburban Catholic League titles (form 1969 through 1962). Over his 16 years as a head coach in high school football, Yonto compiled a record of 96 wins, 42 losses, and 7 ties, for 66.2 percent. In 1964 Ara Parserhian was named head coach at Notre Dame University and Yonto was named to his staff. Since that time, Joe has become known as the maker of All-Americans at Notre Dame. In seven of the first twelve years, the defensive line has boasted at least one All-American. In all, eleven men have been so named from Yonto’s teams, including Alan Page, Walt Patulski, Bob Kuechenberg, and Ross Browner. 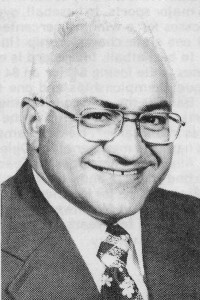 Prior to the 1977 season, Yonto had been the defensive line coach. Second year head coach Dan Devine created the position of defensive coordinator (which had not existed before) and asked Joe to fill this spot as well as coach the line. Yonto is now in his 13th year at Notre Dame, a tenure unequaled by any of the others on the coaching staff. In 1975 Joe was named “Man-Of-The-Year” of the Notre Dame Club of St. Joseph Valley, the Alumni Club of the University.